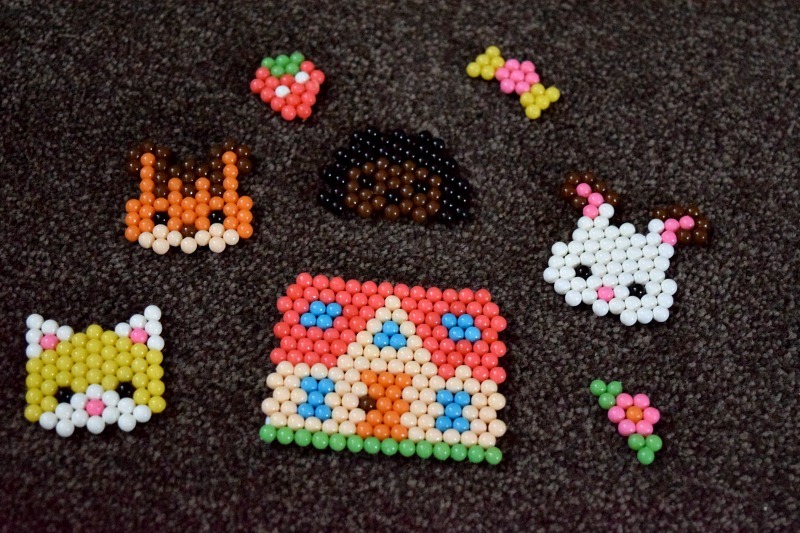 Gracie really enjoys making different creations with Aquabeads. 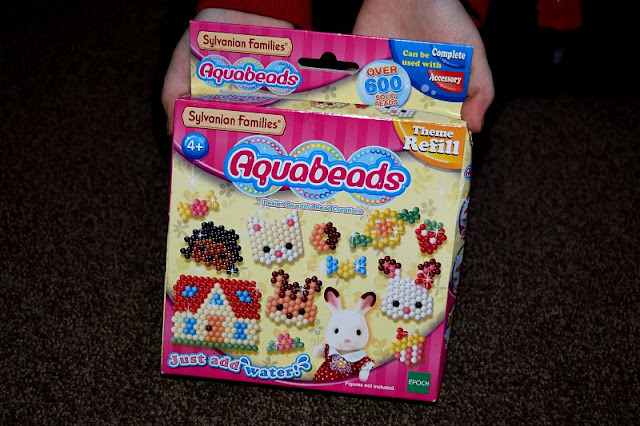 We have previously reviewed the Aquabeads Rainbow Pen Station and they recently sent Gracie a Sylvanian Families set to see what she thought. 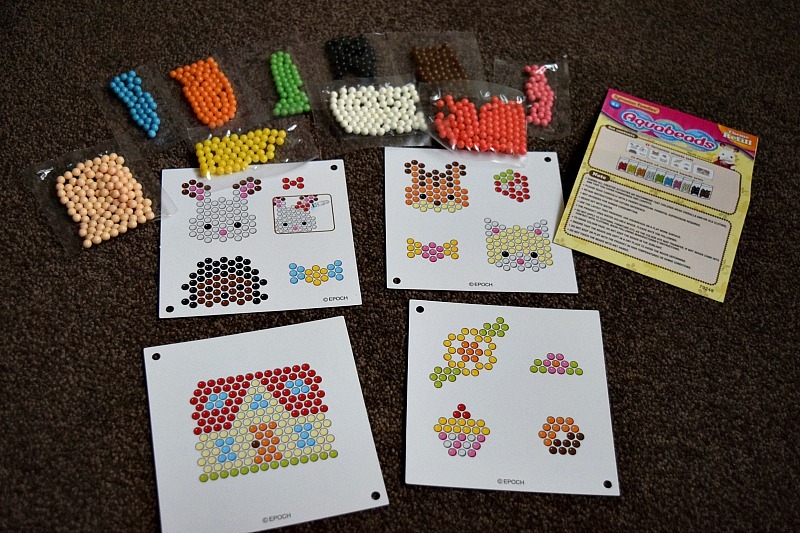 The set contains over 600 beads, 4 template sheets and a set of instructions showing you how to make each creation (photograph below shows contents). Gracie was really excited to try out this set. As it is an add on set, it doesn't come with the trays or water sprayer. We used our complete rainbow pen station for these added accessories. 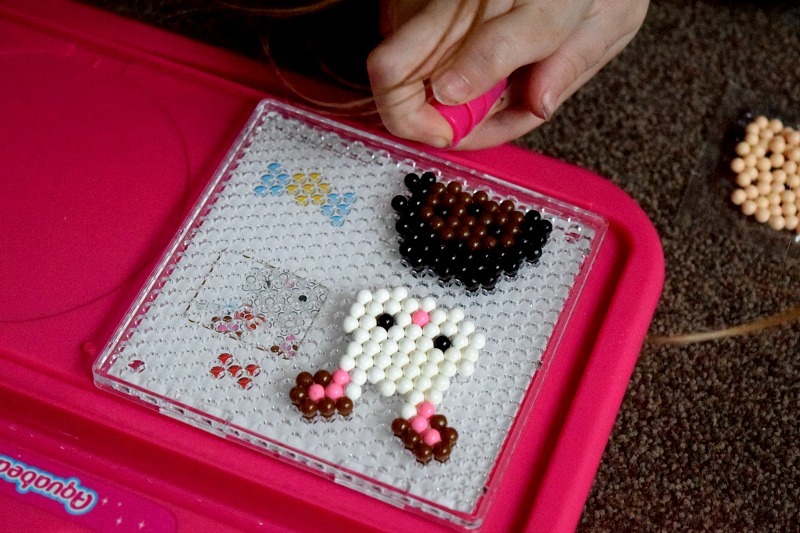 The patterns were really easy to follow and there were enough beads to complete every single pattern. The finished products looked great. Gracie was really pleased with how they turned out. The animals look really cute but her favourite was the cottage which is really detailed. They do take a while to dry so we spent an hour or so on them altogether but it was a lovely after school activity for her. It is a great little set for any Aquabeads fans and is available to buy at amazon.co.uk.